On an early Thursday morning, a woman in a blue accordion skirt rises onto her toes inside the heavy steel walls of Richard Serra’s sculpture, My Curves Are Not Mad, housed inside the Nasher Sculpture Center. 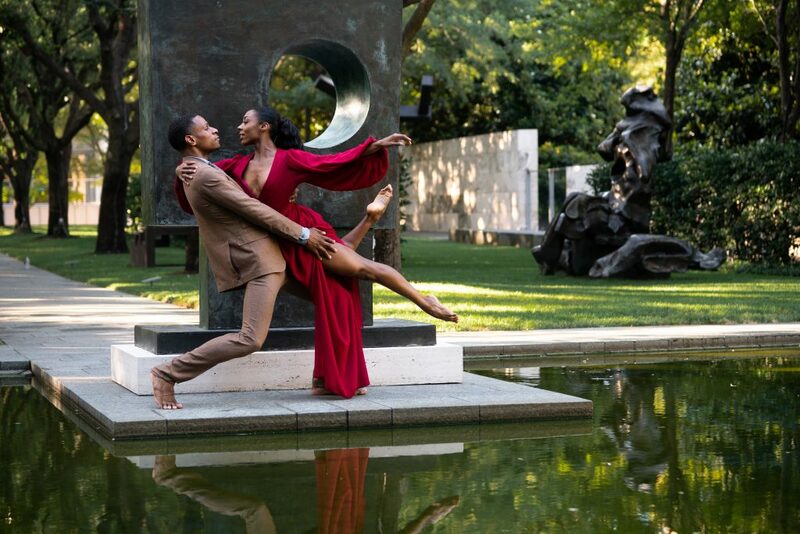 Behind her, two dancers, one in a flowing red gown and another wearing a dapper brown suit, lean into one another’s arms. 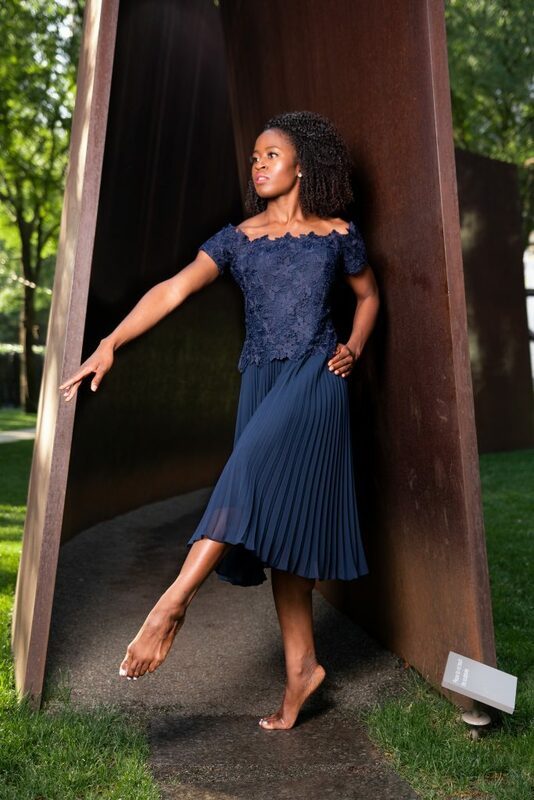 Four dancers from the Dallas Black Dance Theatre (DBDT) participated in the preceding fashion spread: Hana Delong, Sierra Noelle Jones, Zion Pradier and Sean J. Smith. DBDT is a nationally and internationally lauded professional modern dance company that was founded in 1976. It’s the fourth largest black dance company in the country. It’s also the country’s tenth largest minority arts organization and the oldest continuously operating professional dance company in Dallas. In its 42-year history, the troupe has performed on five continents, in 15 countries and 31 states, including two Olympics, performing for more than 4 million arts patrons and teaching 2.6 million students. 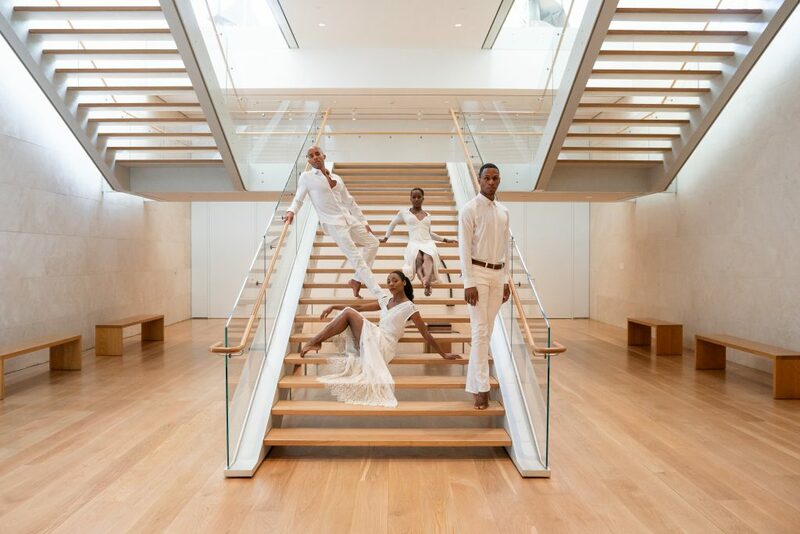 Their mission is to create contemporary modern dance at its highest level of artistic excellence through performances and educational programs that reach diverse communities. DBDT’s permanent home is the former Mooreland YMCA, built by and for African-Americans, in the Dallas Arts District, where their history runs deep. Melissa says that their sense of connection to the past is intrinsic to their art. “It opens up our minds to create works and present programs that have endless possibilities for our community to fall in love, time and time again,” she says. The dancers come from different backgrounds and are all drawn to DBDT for the vast repertoire and the environment. Dancers who come to DBDT do so not just to be a part of a prestigious company, but because they want to feel respected, appreciated, cared for and, most of all, free to be themselves. 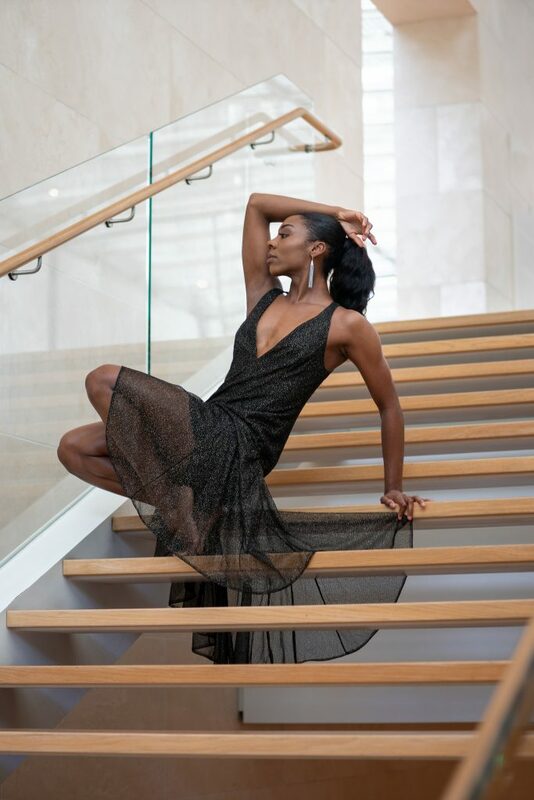 “The only way audiences are moved and feel a connection to what they see on stage is when the dancers are being their authentic selves with no inhibitions,” she explains. 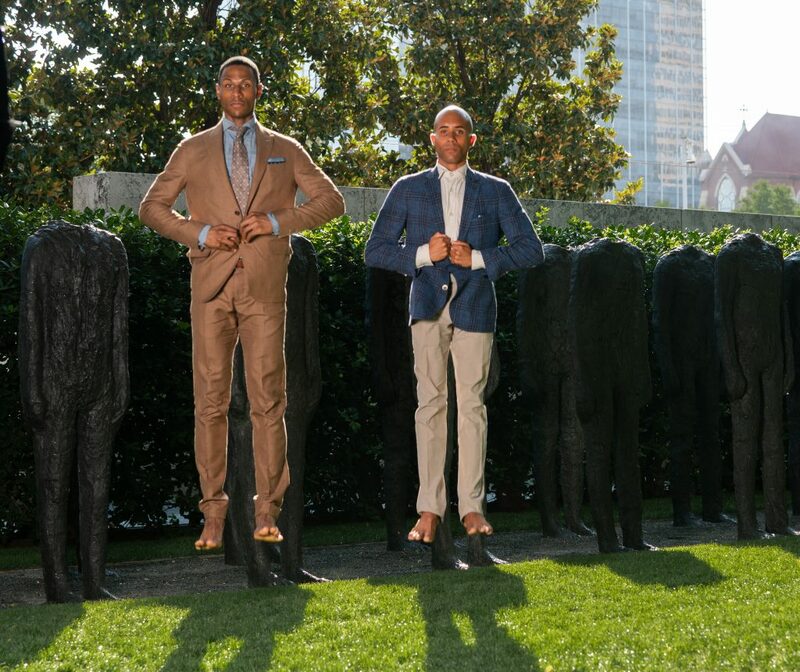 Dressed in the latest fashions from Pockets Menswear, Neiman Marcus, Bonobos and Johnny Was, the troupe was photographed against the phenomenal collection at the Nasher Sculpture Center. 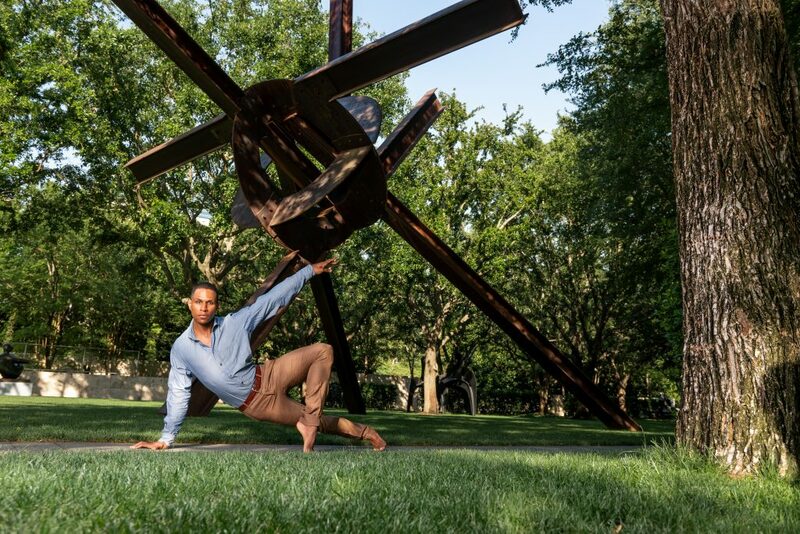 Their backdrops include Squares with Two Circles (Monolith) by Barbara Hepworth, Bronze Crowd by Magdalena Abakanowicz, Eviva Amore by Mark di Suvero and Seated Woman by Willem de Kooning. 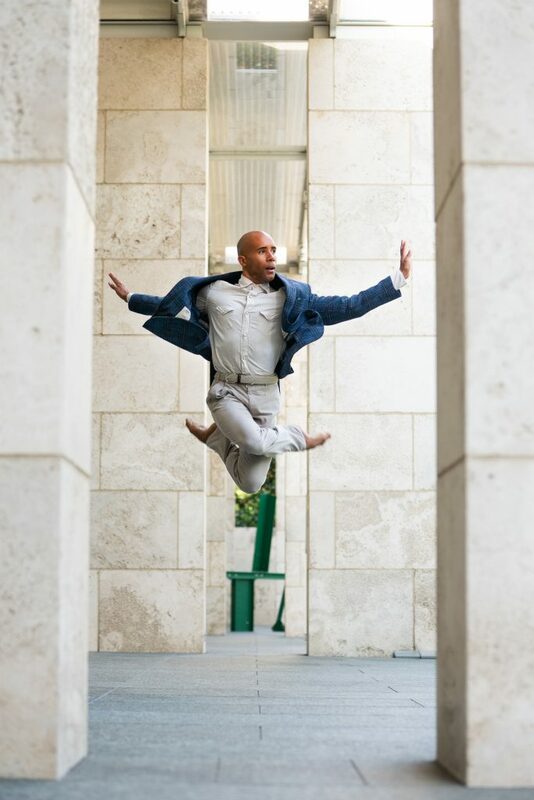 For more details on Dallas Black Dance Theatre, visit dbdt.com. For more on the Nasher Sculpture Center, visit nashersculpturecenter.org.